Now in its second-generation, PillCam ESO is a high performance capsule with advanced optics and Automatic Light Control for optimal image quality and illumination. Published clinical data support the use of PillCam ESO for visualizing the esophagus. 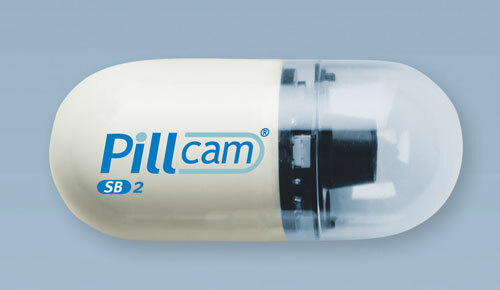 PillCam ESO 2 video capsules measure 11mm x 26mm and weighs less than four grams. They contain an imaging device and light source at both ends of the video capsule and take up to 18 images per second as it passes down the esophagus. PillCam ESO was initially cleared by the U.S. Food and Drug Administration in November 2004 and provides a time-efficient and patient-friendly method for visualization of the esophagus.